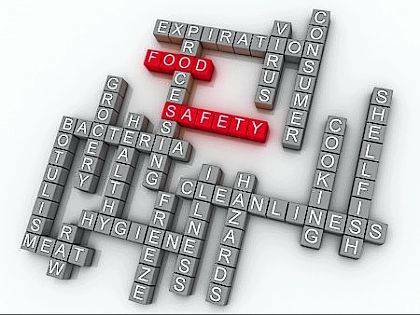 Don’t puzzle over food safety issues. Give the Food Safety Hotline a call at 1-800-752-2751 from 9 a.m. to 5 p.m. weekdays. Question: There seems to be a lot of information on food safety issues online. But I’m wondering, is there somewhere or someone I can call for help when I have questions about food safety? Answer: You can call 1-800-752-2751 between 9 a.m. and 5 p.m. Monday through Friday, and a food safety expert from the College of Food, Agricultural, and Environmental Sciences (CFAES) at The Ohio State University will likely have the answers to your food safety questions. Created in 1985 by the CFAES Food Industries Center as a service to support the needs of Ohio-based food processors, the Food Safety Hotline is now a consumer resource for any popular food issue, according to Heather Dean, hotline coordinator. Trained CFAES staff and students answer the hotline, which averages about 100 calls per year, Dean said.